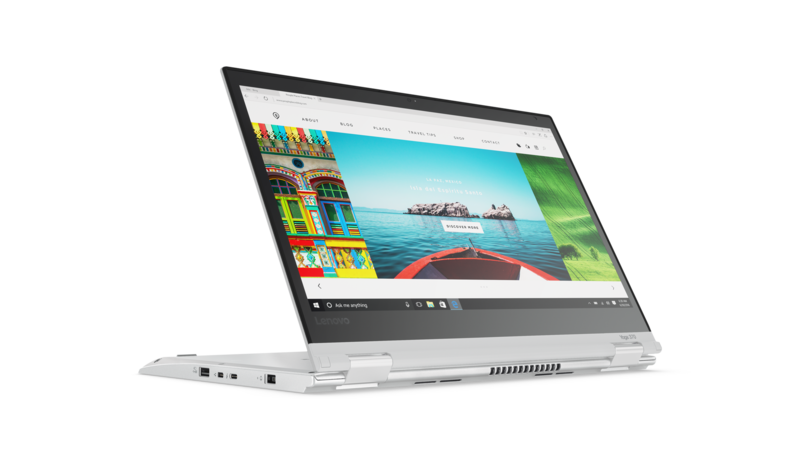 Lenovo’s New ThinkPad Yoga 370 – It’s Silver! Talk about an embarrassment of riches! 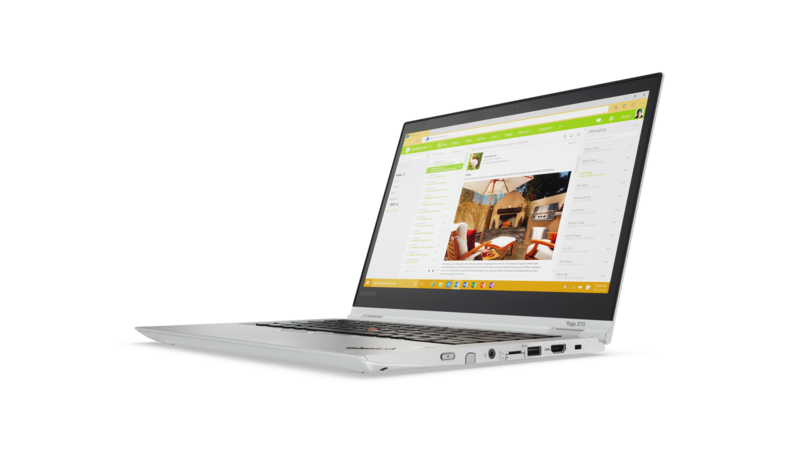 Another Lenovo laptop has arrived! 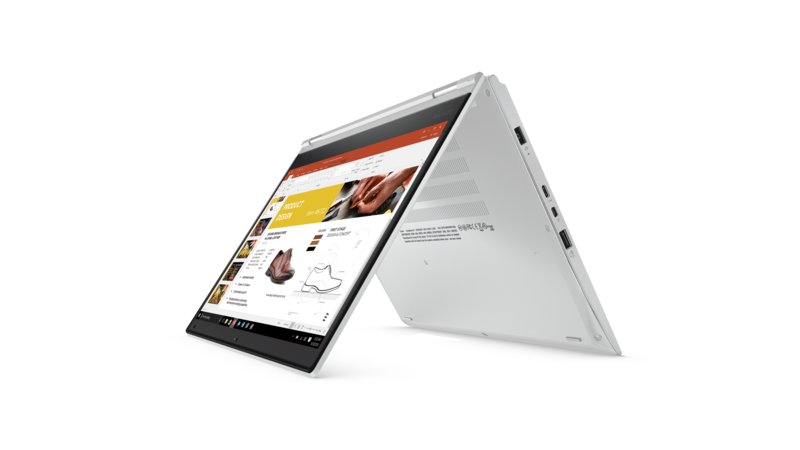 It’s a pre-production ThinkPad Yoga 370 – an advance sample of one of the new products due to be announced at CES 2017. First things first: From time to time the nice people at Lenovo send me a gadget. 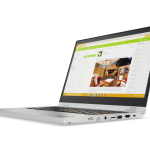 They’re handy to have around – both for my own use and when trying to help out in the Lenovo forums. I do some testing and writing as well. I’m not otherwise compensated, and opinions are my own. 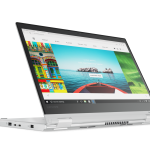 I DO NOT speak for Lenovo. 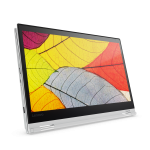 I’ve done my best to gather correct specs here, but please keep in mind that the Yoga 370 is a pre-production unit. It’s not likely that things will change when it becomes available for purchase – but it’s possible. The specs available to me are also preliminary. Please verify anything you read here – about either model – before using it to make a purchase decision. 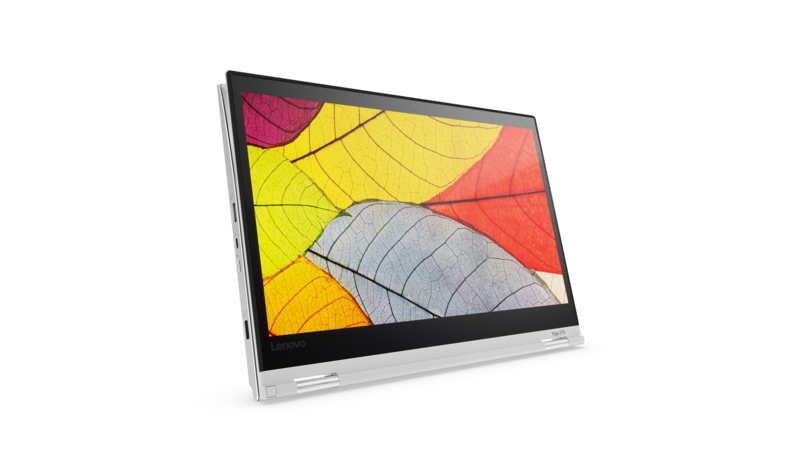 The TP Yoga 370 is a successor to the TP Yoga 260. 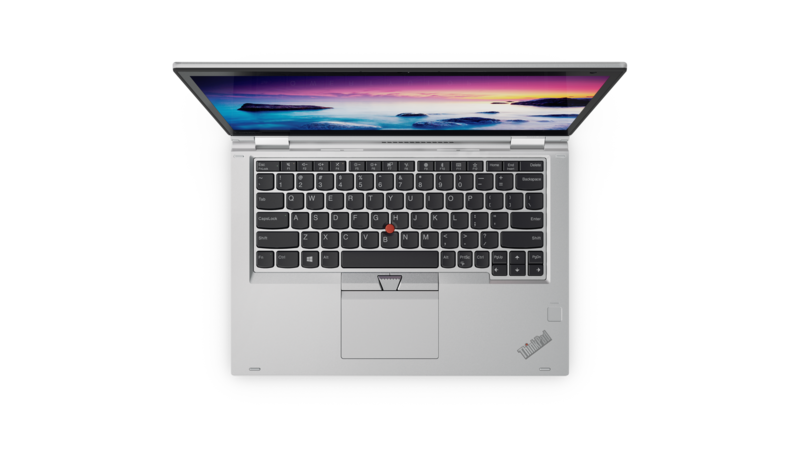 Since I also have a ‘260 we’ll follow the same format used to introduce the (non-ThinkPad) Yoga 910 here and compare the two ThinkPads’ specs and features. Of course they’re both Yogas, with the poses, postures, and flexibility that implies. 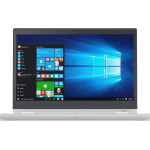 Off the top, the main differences are Kaby Lake processors, larger display in a slightly larger frame with reduced bezel size, USB-C/Thunderbolt port, proprietary Ethernet port, deleted OneLink port (in favor of the USB-C port), deleted mini DisplayPort, and deleted volume buttons. The specific pre-production unit that I received has an i5 7100U Kaby Lake CPU, 4GB of DDR4 RAM (single socket in this version – see below), a 128GB SATA SSD, no fingerprint reader, and a 1920×1080 display. This is at the low-spec end of the option list but reasonably well suited for the way I’ll use it: evening surfing, some media consumption, and writing. The below shows the range of specs, using the documentation available at this writing. Did I mention that it’s silver? It’s a looker – but this will take some getting used-to. Aren’t ThinkPads supposed to be black? At least it has a TrackPoint. That’s not negotiable. Period. The end. Full stop. Yoga 370 on top, 260 on bottom. Again, the 370 is a prototype. Ports and features may differ in production units, and units with different options. Front and rear very similar. The 370 is slightly larger. The size difference is more apparent in side view. A look at the screens side-by-side, showing the 370’s larger display in a slightly larger frame on the right. 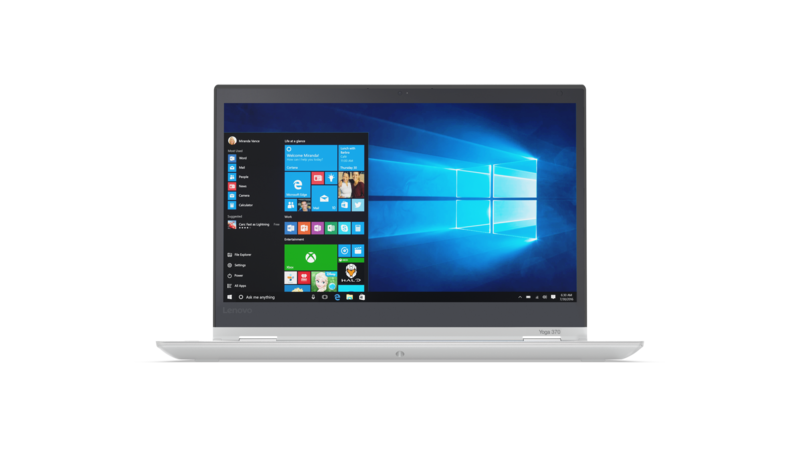 Device and Disk Managers, SSD performance: This TP Yoga 370 has a SATA m.2 SSD, not NVMe. 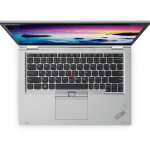 Like other recent Lenovo offerings, it uses a PBR (Microsoft push-button reset) image. There is a small recovery partition but it contains recovery tools, not the recovery image. The recovery image files are incorporated in the C: partition, not in a separate partition. They get updated when the OS updates, so recovery isn’t to as-shipped state, but to as-shipped if it had shipped with the updated OS. 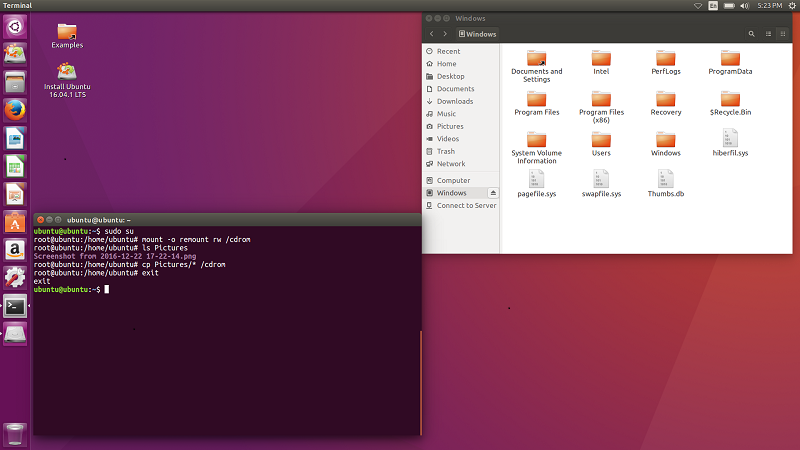 Linux: Live Ubuntu Linux 16.04.1. No wifi out of the box. SATA AHCI-mode SSD (containing Windows 10) is visible to Linux. 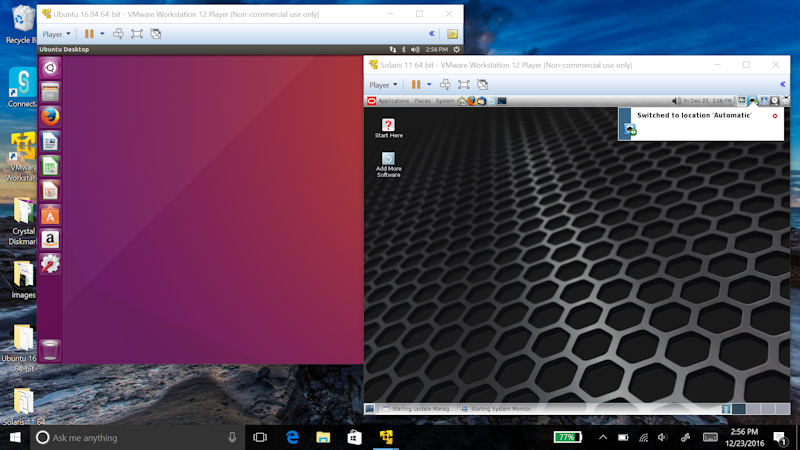 Virtualization: VMWare Player and two VMs. Requires enabling VT-x in BIOS. Two VMs pretty much maxed the 4GB of RAM in this system. Configuring the VMs with less virtual RAM each would help, but it’s not really workable to run both at the same time with the RAM available in this particular laptop. They also consume a fair bit of the 128GB of main storage. For any kind of serious VM work a configuration with more SSD, more RAM, and perhaps a stronger processor would be appropriate. For occasional/demo/experimental use, this one is fine. Dongles: The ‘370 uses Lenovo’s proprietary Ethernet port, since the unit isn’t thick enough for a standard RJ45 port. The ‘260 made Ethernet available via the OneLink port – or with a USB dongle as described below. 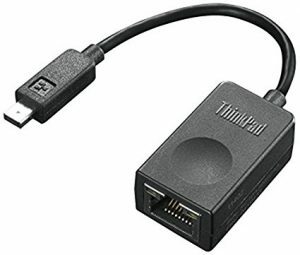 There’s a Lenovo Ethernet dongle <part number needed> that provides a full-sized RJ45 connector. It’s also possible to use an aftermarket USB-C or USB 3.0 to Ethernet dongle. I tested briefly with an Anker USB-C to USB 3.0/RJ45 mini combo hub. Also a StarTech USB 3.0 to RJ45 dongle. Both worked without requiring an additional driver. I mention them here as examples, not necessarily as recommendations. 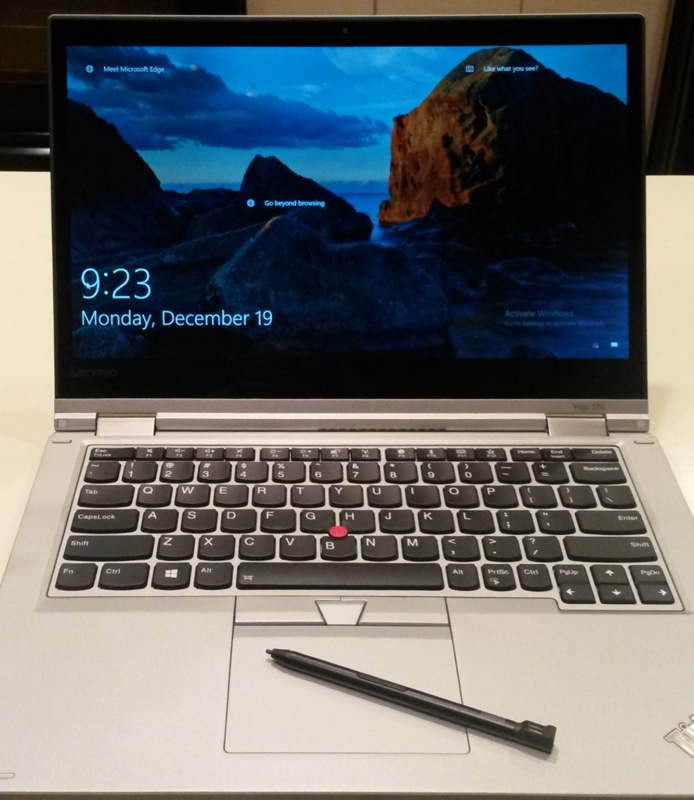 6 Responses to Lenovo’s New ThinkPad Yoga 370 – It’s Silver! Awesome post!. I like to know if Thunderbolt port support eGPU or not. Would you please take a screenshot of details section of your TH3 software and share it with us? Thanks! Good question. I’m on the road and probably won’t be able to do much for a few days. 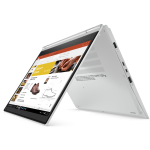 I would like to ask if you experienced any problems with the stylus compartement since it seem to be a weak point on the lenovo yoga 260 where some users had issues with cracks. I haven’t had problems with cracks anywhere with either machine – but I don’t have a lot of hours on either one yet. I do note that it’s easy to snag the pen when handling the laptop and pull it out unintentionally. 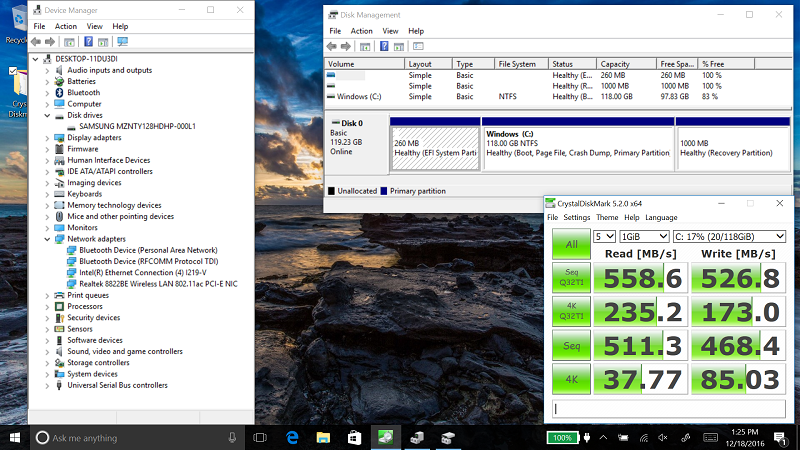 i have a problem my notebook thinkpad yoga 370 has missing driver sata ahci controller. where i can get that driver because my notebook blue screen help me please guys.